A new study published in the Journal of Urban Health has revealed that the prevalence of undiagnosed asthma was 20.2 per cent among urban adolescents. The findings of the study have been published in the Journal of Urban Health. Undiagnosed asthma adds to the burden of asthma and is an especially significant public health concern among urban adolescents. While much is known about individual-level demographic and neighbourhood-level factors that characterize those with diagnosed asthma, limited data exist regarding these factors and undiagnosed asthma. Jean Marie Bruzzese and associates conducted an observational study to evaluate associations between undiagnosed asthma and individual and neighbourhood factors among a large cohort of urban adolescents. The investigators analyzed data from 10,295 New York City adolescents who reported on asthma symptoms and diagnosis. 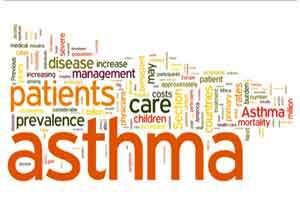 The study found that undiagnosed asthma prevalence was 20.2%. Females had higher odds of being undiagnosed. Compared to White, non-Hispanic adolescents, and Asian-Americans had a higher risk of being undiagnosed and African-Americans/Blacks had a lower risk. Latinos and African-Americans/Blacks did not differ significantly. Living in a neighbourhood with a lower concentration of Latinos relative to White non-Latinos was associated with lower risk of being undiagnosed. Living in a neighbourhood with health care provider shortages was associated with lower risk of being undiagnosed. According to the authors, greater effort is needed to identify those with asthma symptoms but no diagnosis to ensure those at highest risk for being undiagnosed obtain diagnosis and treatment needed.